Hello bloggers and friends! 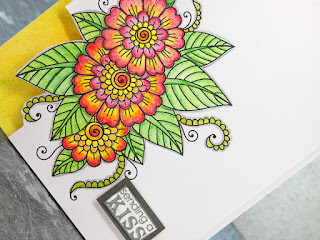 For the card to day, I used a panel with an image I had coloured whilst I was in Spain! I made my own yellow background paper, cut around the corner of the image and popped the panel up on foam for dimension. I stamped the sentiment in grey and popped that up on foam too! Here are the pictures. 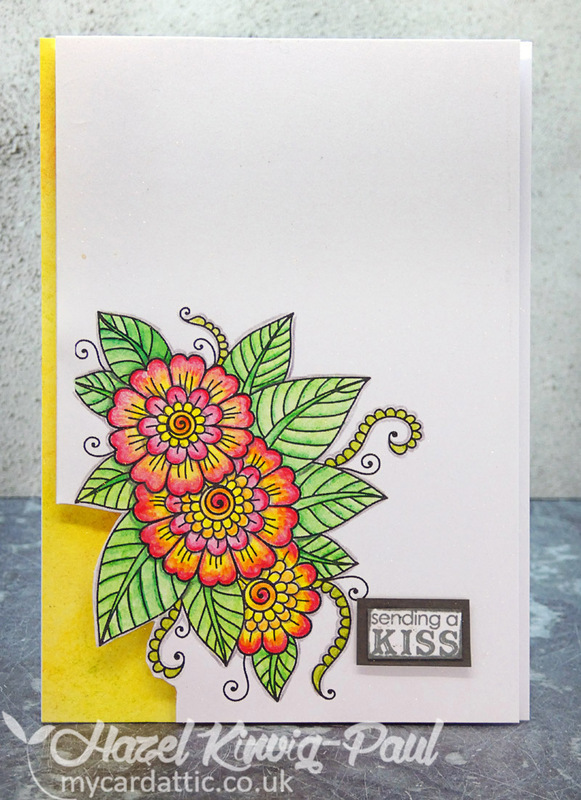 such a pretty, sunny card - and love how you cut around the flowers - great design!! Very pretty! I love the little cutout in the corner! The color is superb! 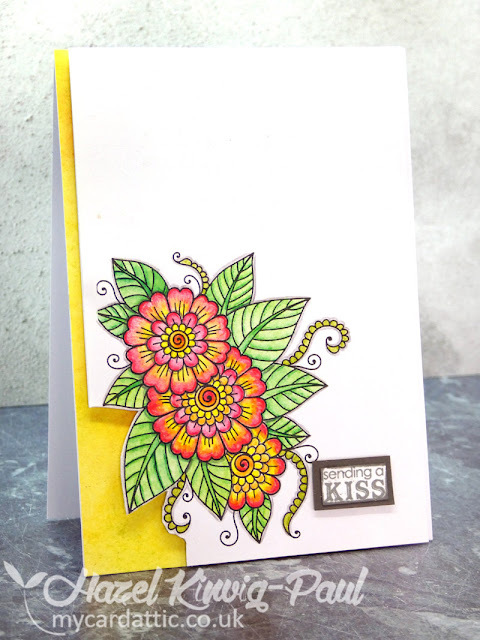 Gorgeous card Hazel and wow what a beautiful flower. 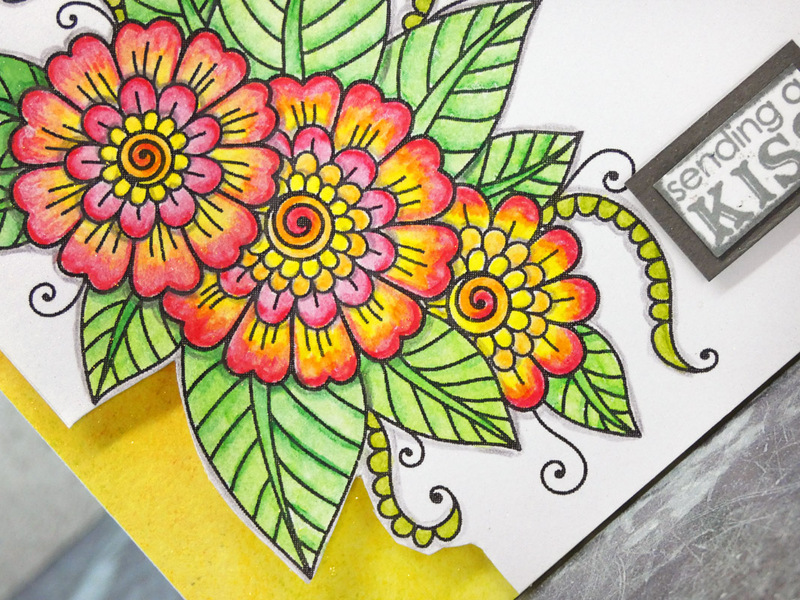 Such beautiful colors, Hazel! I love the way you've cut around the design! Spain sounds like it's a wonderful place for inspiration! 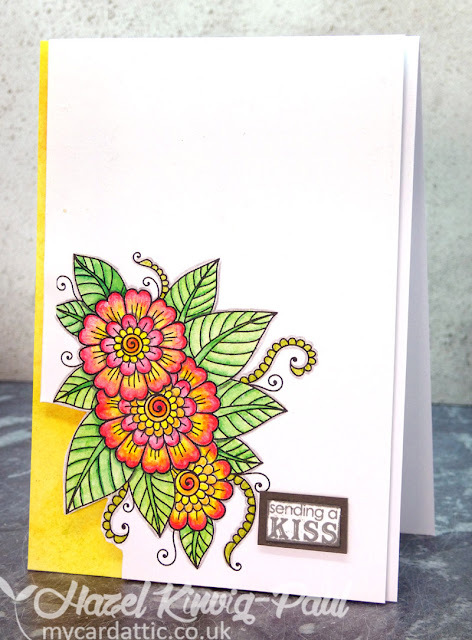 The colors on your floral images are so beautiful and I love how you've cut around them to show off a yellow background. Beautiful Hazel! Love those happy cheery colors. I can see some Spanish warmth in your pretty colored image. Wonderful card, Hazel!